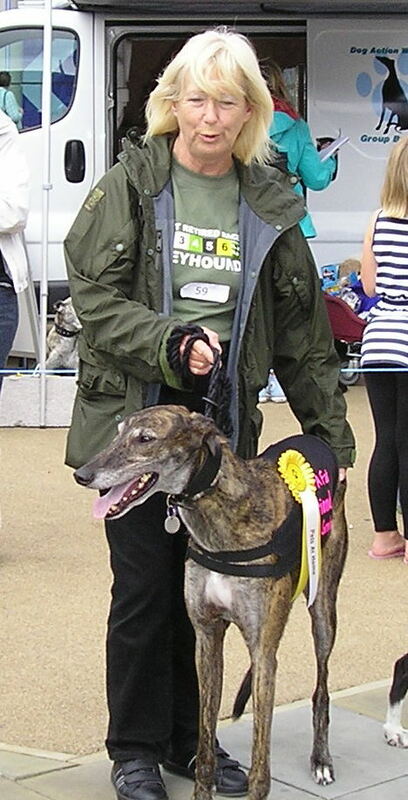 A very handsome big brindle boy, with lots of personality. Freddie loves his walks and has ?best friends? Radar and Signal? with whom he loves to run. He also has a special girlfriend called ?Bella? she is a little whippet/lurcher. Freddie loves to play with his squeaky and fluffy toys. A lovely happy boy, who has been very lucky in finding himself a wonderful home for life.